Across campus, students are noticing the changes that have been made to the student center. Last year, the cafe area was packed with snacks, toothbrushes, tampons, cold medicine and other convenient items that are necessary to a college student’s survival. 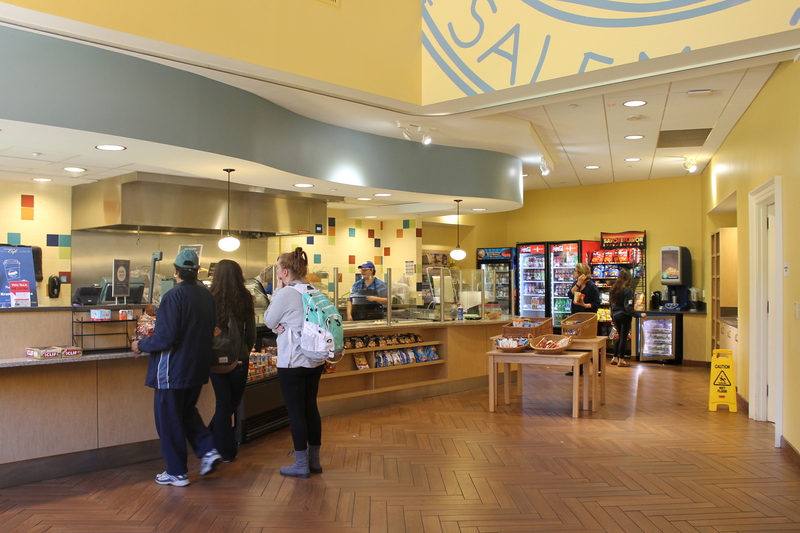 The student center cafe area is no longer set up in its original convenience store style; it is now a cafe solely focused on serving food to students. The student center has removed items that are essential for students who are not able to leave campus to purchase them. Having cold medicine and other health items in such an accessible place is beneficial for students who lack the means to travel elsewhere for their medication. Although removing convenience items opens up more space and allows the focus of the cafe to be primarily on food service, students are feeling the consequences of this change. Perhaps most importantly, where have all the tampons gone? “The changes that have been made to the student center are unfortunate. It’s not convenient for those who don’t want to leave campus to buy their own supplies,” Brianna Locklear, a first year at Salem College. If the issue is concern over people at a women’s college seeing tampons, the simple solution is either for Salem to offer household items and toiletries at a different location on campus or to put them in a more secluded area of the student center. Students require supplies other than food to carry out their daily lives. Why should Salem no longer offer the supplies it provided in the past?